I jumped right back into matchmaking Strikes tonight, and I had a lot better luck as I was matched with people interested in actually playing the game! 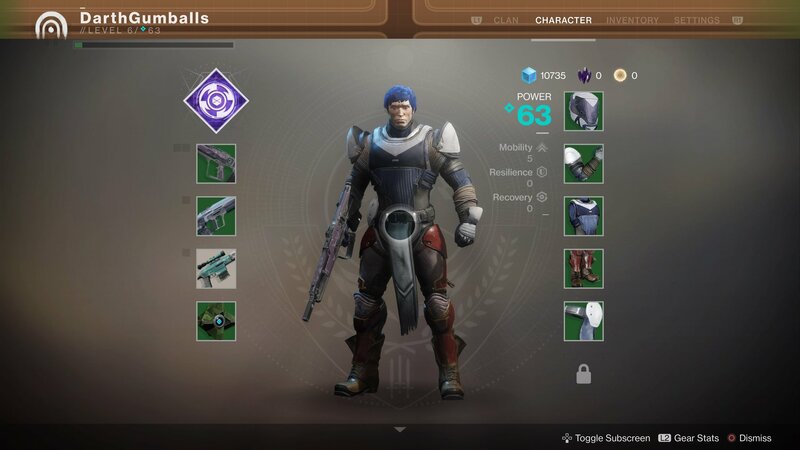 I was initially matched into the Devil’s Lair strike already in progress and my teammates and I made quick work of the strike and final boss. Much more enjoyable with a team that works together! After that I stayed in matchmaking with one of the players from Devil’s Lair and we actually matched with another third team member who was just as capable as the last. We knocked out the Nexus quite smoothly and I had an enjoyable time doing so. My only complaint would be that no one used the team voice chat in either strike. 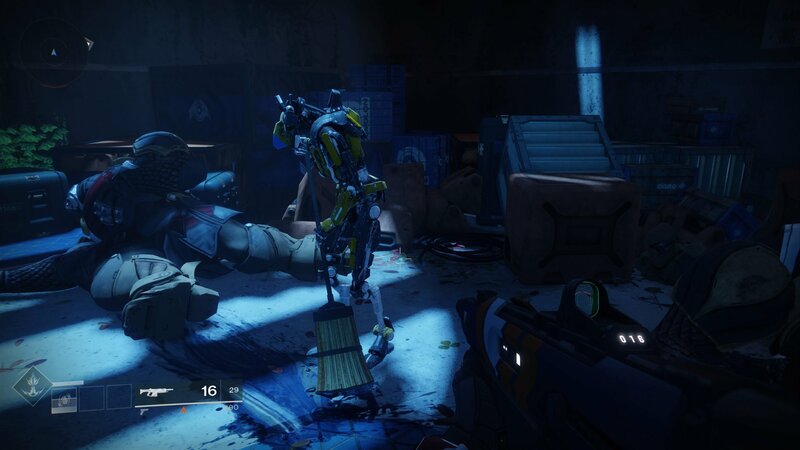 I don’t know what it is, but no one ever wants to chat in Destiny. 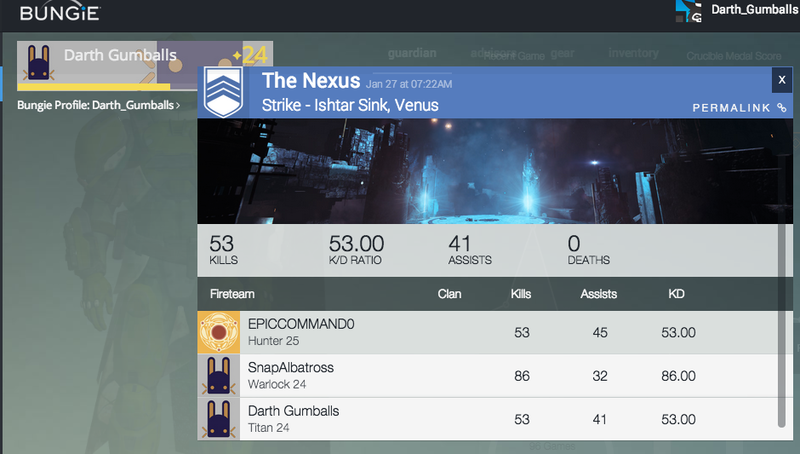 The same goes for the Crucible match I played to end the night, no one was using the team chat channel. Too bad. 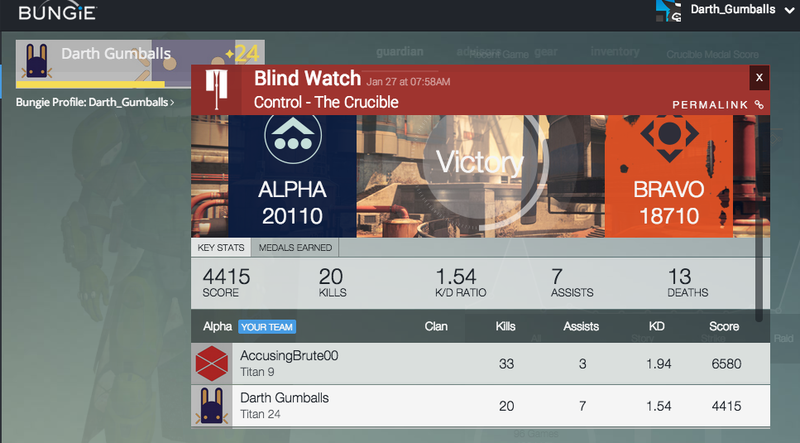 I ended the night with a Crucible control match and went a respectable (for me) 20-13 (and we won!). I didn’t really get any notable gear tonight and still sit midway between level 24 and 25. Still, I enjoyed the night and look forward to running another strike or two tomorrow night, hopefully I’ll be just as lucky with the matchmaking! Halo 4’s Spartan Ops mode has arrived in the Master Chief Collection along with this week’s 3gb patch which also further improves gameplay and matchmaking. I never played a lot of Spartan Ops, so I figured I’d give the first mission a try yesterday. It was pretty fun, but it’s certainly geared toward co-op play as overall it felt like there was just too much to kill and the mission dragged on longer than it probably should have. Still it’s nice to have a couple more hours of new content added into the Master Chief Collection. So grab a few friends and head into Spartan Ops and see what damage you can do. Enjoy! 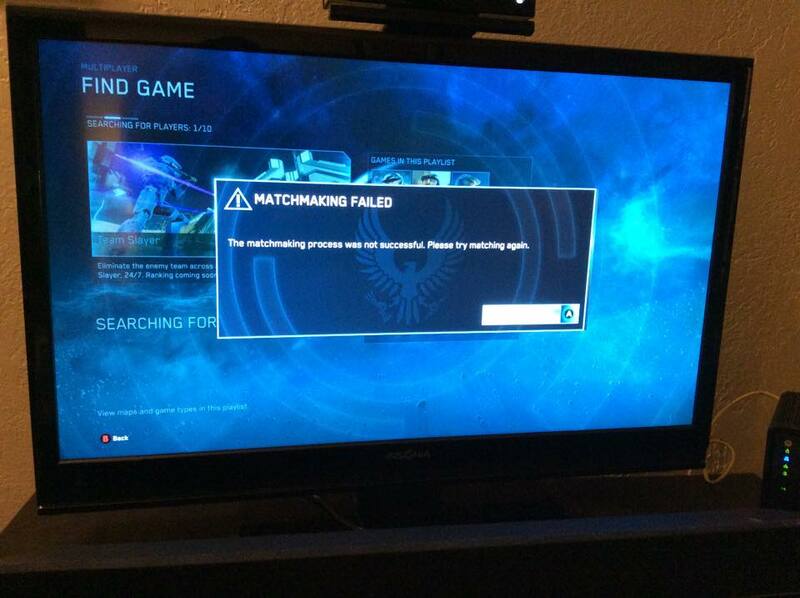 So after yet another patch this week, Master Chief Collection’s matchmaking issues have still not been eradicated. It’s been slightly better than it was launch week (nearly a month ago), but not by much. I’ve managed to get into 3 matches today, but the latest patch now forces you to back out and search for a match again after every match. You cannot stay in the same lobby after a match. Not only does this slow down the matchmaking process further, it also harms the multiplayer experience. If you have a close match or a good team you’re out of luck after the end of the match. You’re forced to press B backing you out to the matchmaking menu where you’ll have to start the search for a match all over again. This is severely disappointing. It can be quite difficult to group up with a good group of players and to be forced to disband the lobby after every match is just ridiculous. Also waiting two or more minutes for a match only to have it spontaneously end after the loading screen is not cool. You can see my latest attempt to get into a match below. I have many fond memories of spending Thanksgiving nights playing Halo with family members, and if you were hoping to relive your own Halo festivities this Thanksgiving with Master Chief Collection you’ll probably be disappointed. Despite yet another patch getting released yesterday, I am STILL unable to get into any Master Chief Collection matches. I’ve been trying for the last ten minutes (entirely too long) and have gotten nowhere. I did however get stuck with the Connection Failed message that is now appearing behind all of the menus and won’t go away, so there’s that. 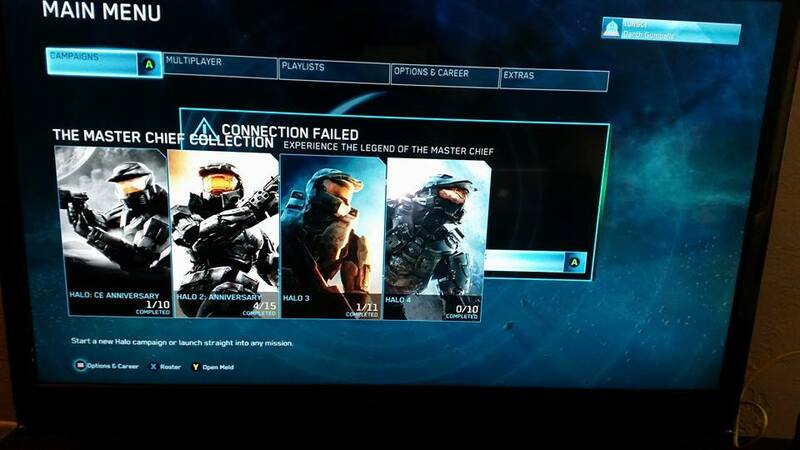 I’m so sick of seeing that every time I boot up the Master Chief Collection and try to get into a multiplayer match. I’ve tried on and off for the last two weeks and still have not been able to reliably find matches. This weekend there has been some improvement, but the matchmaking process is still not flawless. 343 put out a patch last week that seemed to improve the matchmaking process for most people, yet I’ve found the matchmaking process still to be slower than it should be. Also, they have yet to add all of the other playlists they removed (such as Team SWAT) which is disappointing. I’ve been able to find a few matches this evening with wait times as low as a minute (a massive improvement over launch week where I’d have to continuously back out of matchmaking and retry for 15 minutes or longer just to get into a single match). I should be excited that I can finally play some Halo multiplayer, however with Dragon Age, GTA V and Farcry 4 now out, Halo is probably going to take a backseat for awhile. The Master Chief Collection was one of my most anticipated games of the year, but its rocky launch has soured my attitude toward the collection right now and I’m having too great a time with Dragon Age and GTA to even think very much about Halo right now. I’ve read that Microsoft has been honoring requests for refunds for those who own digital copies of the Master Chief Collection, however I think in the long run once everything is working smoothly I’ll still be happy to own the collection. One thing I can say is I probably won’t be buying Halo 5 during launch week now. Has the Master Chief Collection’s launch affected your excitement for Halo 5 or future Microsoft games? Are you going to be sticking with Master Chief Collection or are you have you already given up hope? Halo Master Chief Collection’s matchmaking issues have rolled into day two unfortunately. After I got off work and got done at the gym it was nearly 8PM (MT) and I fully expected Halo’s issues to be ironed out by now, but alas matchmaking is still not running smoothly. I was met with the error message above (“The matchmaking process was not successful. Please try matching again.”) after about 30 seconds of searching for a Team Slayer match. Hopefully things will work out soon. Until then we wait. I guess I’ll check out Sunset Overdrive for now and maybe get back into Destiny if things aren’t up and running by this weekend.